+ Never get the wrong luggage again! Ever experienced getting the wrong luggage in the baggage carousel every time you travel? Or sometimes it is the other way around! Someone got your luggage because it looks exactly like theirs! Or are you someone who always had a hard time spotting your own luggage because everything looks similar? We know how frustrating it is that is why we came up with these cute luggage covers! 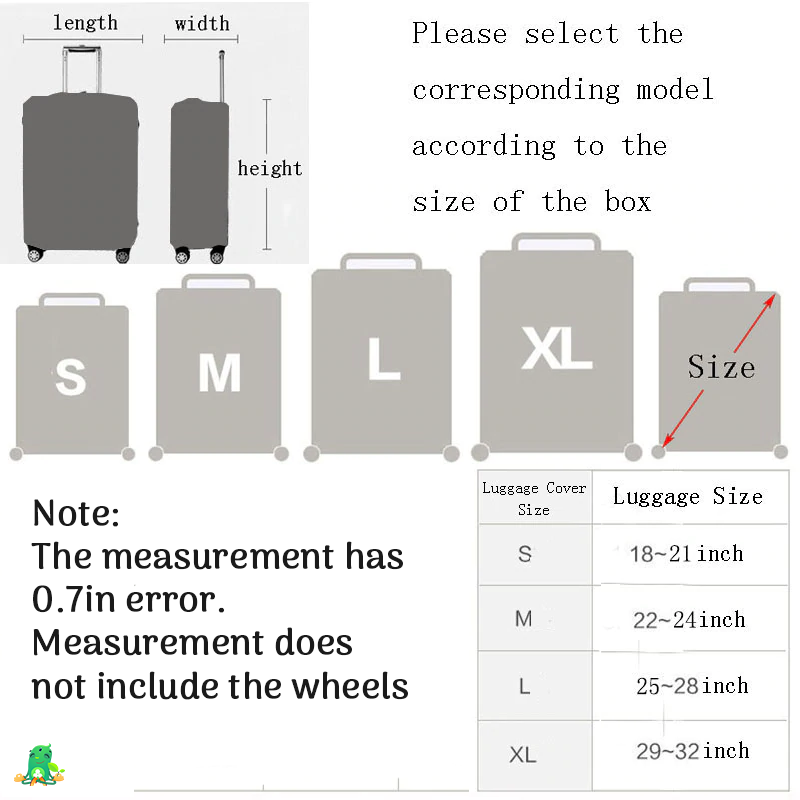 Not only does it protect your luggage from scratches, it can also help you spot your luggage easily because of its unique design/print. It will also help others not to get your luggage! Win-win, right!